An announcement released on June 6 by the Centers for Medicare and Medicaid Services revealed the Medicare Shared Savings Program is going to gradually introduce a new approach for cost calculations beginning January 1, 2017. The new cost calculations will be based on regional healthcare trends as opposed to national spending trends in the second or subsequent years. Currently, reimbursement rates are low and based on fee-for-service. Doctors are expected to go at full throttle, seeing as many patients as possible in a single day. Economics is the leading motive many physicians are pressured to hustle patients in and out of the office. Patients often leave, feeling rushed back out the door without really understanding the issue that brought them to the doctor’s office in the first place. As a physician, you probably feel your hands are tied when it comes to providing quality care. Previous studies have revealed 45.8 percent of doctors experienced at least one symptom of burnout. As a result, burnout can prevent doctors from providing efficient, accurate, and superior care. 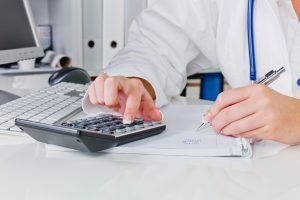 The new cost calculations ruling hopes to encourage more physicians to join the MSSP’s Accountable Care Organizations (ACOs) so that participants are rewarded for quality—and not quantity. The new rules aim to encourage physicians within the ACOs to improve patient care by working together instead of in competition with one another. Medicare will no longer pay according to the services a physician has provided but instead will benefit physicians for working well with one another in the best interest of the patient. The implementation of the new method of healthcare provider reimbursement under the MSSP will gradually be introduced on or after January 1, 2017. Completing financial paperwork can be confusing. Often, the patient does not pay for any healthcare services received. There are a dozen different healthcare plans consisting of different authorization, referrals, and eligibility metrics. A solution for this is to utilize an innovative revenue cycle management that emphasizes an end-to-end system. In addition to patient care, obtaining payment for services rendered can be a burdensome task for physicians. The medical claims process can be extensive and you won’t receive payment until the documentation requirements are completely fulfilled. Many medical practices turn to outsourcing their medical billing in an effort to simplify the process and collect all earned profits. Rev-Ignition provides a full line of services for healthcare providers designed to reduce costs and maximize profitability. Call (844) 297-9944 to speak with one of our experts today. MACRA Implementation: Are You Prepared for It?